On Monday February 5th, the stock market took an unexpected dive. The Dow Jones Industrial (DJIA) faced its largest intraday point decline in history, falling by 4.6% and plummeting over 1,000 points in one day. S&P 500 also had one of its worst days on Monday since 2011, dropping by 4.1%. However, while there were only two stocks in S&P 500 that were up that day, all of Dow’s 30 futures fell. Following Monday’s events, on Tuesday the Dow once again plunged 567 points, sinking into correction territory all too briefly before roaring back to life. A correction is what occurs when there is a 10% decline in stocks from a recent high. For Dow, that recent high was just a couple of weeks ago when the index closed at a record high of 26,616 points. This rebound didn’t last very long, however, as the stock market officially plunged into a correction as of Thursday, February 8th. Monday’s market crash not only affected the US, but the event sent rippled throughout the global market as well. Stocks in both Asia and Europe subsequently took a tumble. The Nikkei Stock Average in Japan declined 4.7% on Tuesday, it’s largest daily point drop since 2016 during the UK Brexit vote. Hong Kong’s Hang Seng also encountered its worst point decline since 2008. 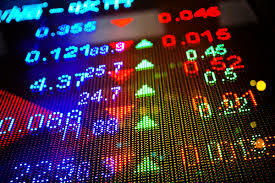 The UK’s FTSE 100 and the Stoxx Europe 600 went down approximately 2% as well. Needless to say, it’s been a hectic week for investors everywhere and many are asking why the crash occurred when it did. The answer to said question is that Monday’s plunge wasn’t caused by anything blatantly pivotal. What caused these major averages to tumble had nothing to do with a particular piece of news or crucial event. Experts’ best guess is it was caused by a fear of inflation. Stocks have been steadily on the rise since the election, which mainly has to do with the strength of the economy and unemployment has been at a historical low. Yet, despite the growing strength of our economy, inflation has remained suspiciously stunted. The Federal Reserve counters inflation by raising interest rates. However, they’ve been unable to do so for the last decade due to the risk that it could hamper economic recovery and cause prices to fall. So with no viable explanation regarding the lack of inflation, those on Wall Street worry that it will suddenly spike and that the Fed will have to raise interest rates quick and steeply in order to keep up. Their fears may very well be warranted, as the central bank had recently noted that inflation looked to be on the rise. As far as the severity of Monday’s crash, though it may have been significant, stock market analysts say that’s its nothing to get panicked over. In fact, they wonder why it took so long for this crash to occur. Stocks have been rising in a straight line since November 2016, which isn’t exactly good. Analysts believed that the market was long overdue for this 10% correction. They argue that a cooling off period makes stocks cheaper and more attractive to investors, especially if the underlying companies are continuously successful. So the fact that the market finally came down to Earth last week was more of a relief to stock market analysts. First-year Sunya Hassan is a layout assistant. Her email is shassan@fandm.edu.